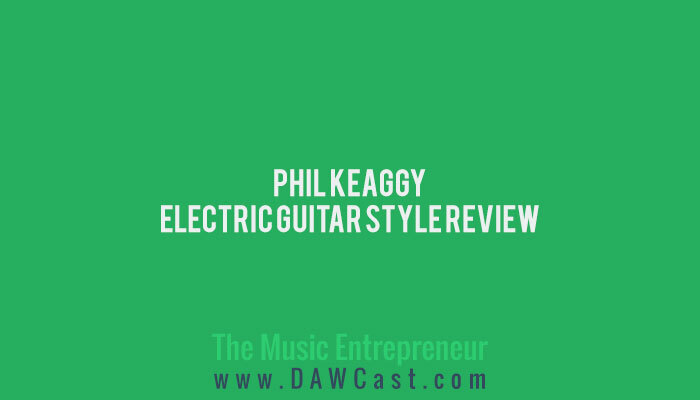 Phil Keaggy may not be a household name, but he is known as a guitar virtuoso in the Christian circles, and has also been recognized as an accomplished acoustic fingerstyle guitarist by popular guitar magazines. Nine-finger Keaggy is probably known more for his acoustic style, in fact. He may not be as widely known for his electric style, but this instructional DVD proves that he’s got some impressive chops worth studying. 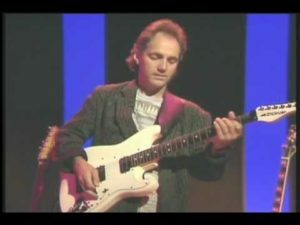 His guitar tone is smooth and breathtaking throughout the short one-hour video (similar to Allan Holdsworth’s guitar tone, now that I think of it). At fist I was struck by his fluid whammy bar techniques, skillfully dipping in and out of target notes. His smooth legato style seems to complement this aspect of his masterful playing, and this in itself is impressive enough. But then we are introduced to the diversity and variety in his playing style, ranging from 70s Funk Rock to 60s Rock ‘N Roll. In my humble opinion, the ability to transition from one particular style to another is the mark of a seasoned and experienced musician. Keaggy’s rendition of “Amazing Grace” is simply mind-blowing, and the examples that follow are equally mind-boggling. I always like it when musicians talk about their gear and influences, and throughout the DVD Keaggy does not disappoint. He talks candidly about the guitarists that not only influenced him but “blew him away”, and all of the secrets to his guitar tone, including guitars, pickups, rack mount gear, and amplifiers. Frankly I wouldn’t have minded if he had spent more time on this. The accompanying booklet contains transcriptions for most of the examples, but unfortunately does not include the performance sections, where Keaggy performs entire pieces. However, it’s not hard to see why they didn’t include these sections, as there are underlying complexities to Keaggy’s playing that would be very difficult to notate. All in all, this isn’t really your standard instructional DVD. Keaggy takes more of a demonstrational approach, so the video does not follow the standard format (example 1, play this, example 2, try this, etc.). For all intents and purposes, I believe this was for the better. I rather enjoy watching Keaggy play, and I always come away inspired. I always learn something, but for the most part I don’t attempt to follow the examples note for note. If your intention is to learn all of the solos verbatim, more power to you.